Remembrance Day is coming up this Saturday and I’ve found the perfect fascinator for the occasion. I recently teamed up with Unique Accessories to show off some of their fabulous fall fascinators. 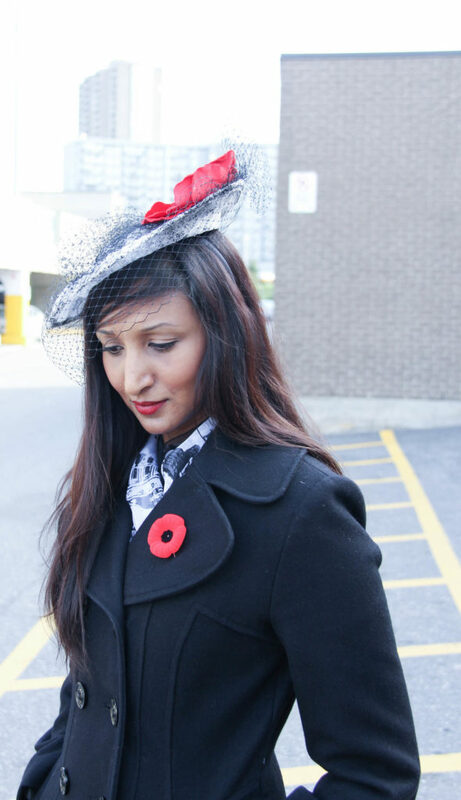 This gorgeous grey and black fascinator with red flowers is so fitting for remembrance day. The grey colour and black netting is reminiscent of trenches and barbed wire and the red pop of colour is symbolic of the blood that was shed during the world wars. The flowers also look a little like poppies, the international symbol for remembrance and veterans. 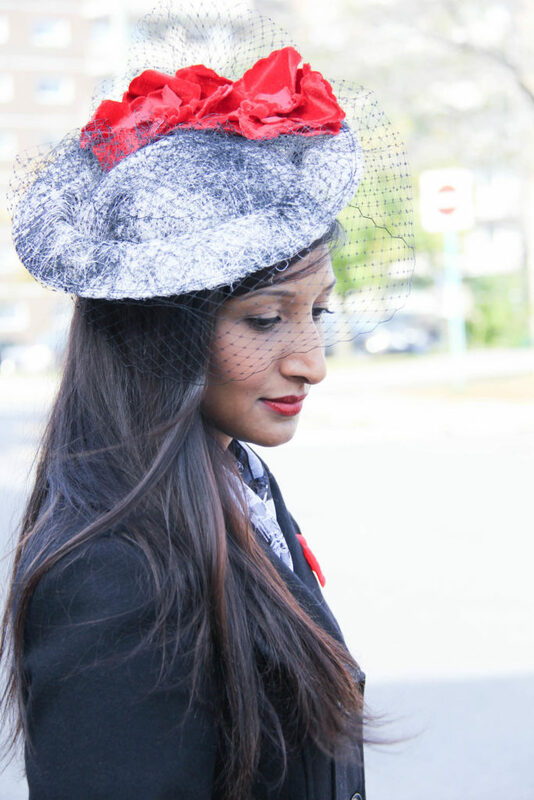 The hat itself is a one of a kind creation by Lilliput hats.This famous Canadian company is known as the milliner to the stars whose creations have graced the heads of celebrities such as Celin Dion, Whoopi Goldberg and Rachael McAdams to name a few. Lilliput hats was also the hat maker of choice of the late great Gord Downie . The front man for the band The Tragically Hip was known for the ornate hats he donned during concerts. It was such an honour to wear a piece made by such a well respected milliner. Although Lilliput itself is located in Toronto, Ottawans can choose from a wide selection of their products at Unique Accessories which is located in the Carlingwood Shopping Centre.